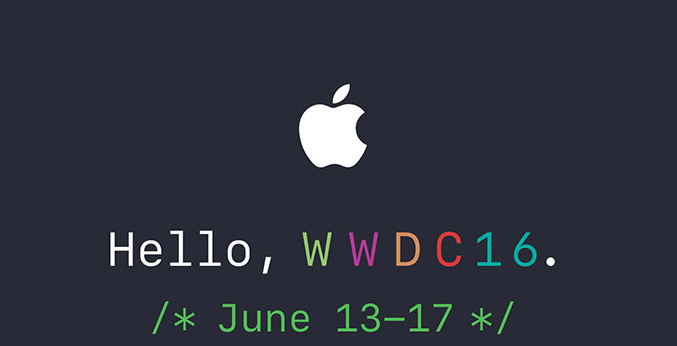 Apple's mega annual 27th Worldwide Developers Conference (WWDC 2016) will be held in San Francisco, USA from June 13, Monday to June 17, Friday at Bill Graham Civic Auditorium, where iOS / OS X / watchOS / tvOS / Xcode / Swift code programmers and developers from all over the world will join the event to discuss the future of Apple's smartphone, tablet and TV devices firmware and software. 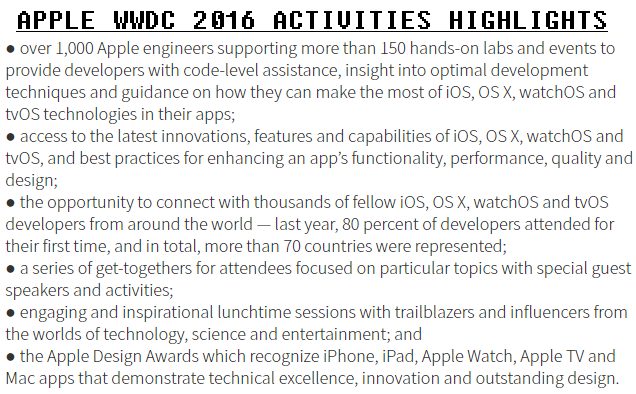 How to Register for WWDC 2016? Apple WWDC 2016 event registration has already started from April 22, Friday at 10:00am PDT, and all those registered developers who win the lottery through a random selection will be informed on April 25, Monday at 5:00pm PDT. The official WWDC 2016 Ticket Price is around $1600 USD. To start registration visit, WWDC 2016 website HERE. How to Watch WWDC 2016 Live Stream? Those developers and general public, who won't be physically there for WWDC 2016 Keynote, can still watch WWDC 2016 Live Streaming with WWDC 2016 Sessions Videos throughout the week of the worldwide developer’s conference through WWDC Application available for the iPhone, iPad, iPod Touch and Apple TV and also via official WWDC website of Apple. The Live WWDC 2016 Video Streaming will be available from June 13, 2016 at 10:00 PDT.